What is the Capitol Page Alumni Association (USCPAA)? The USCPAA is a non-partisan, tax-exempt 501(c)3 nonprofit organization recognized by the IRS and chartered in the District of Columbia. It was founded in 2008 and is run primarily by volunteers. The Association has no affiliation with the U.S. Congress or the current Senate Page Program. If you are interested in learning more about the page program, visit the Senate Page Program informational website. Why a Page Alumni Association? Formal Page programs on Capitol Hill date back to at least the 1820s, making the Page tradition older than most of the prestigious private preparatory schools in the nation. 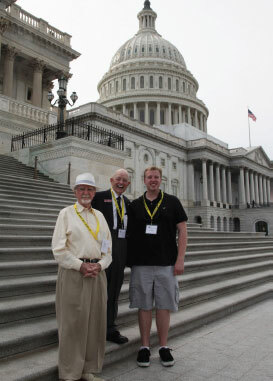 Yet despite the rich legacy of the Page programs, there was no association for alumni until the US Capitol Page Alumni Association was created in 2008. In 2008 a survey of alumni was conducted by consultants working with then House Speaker Nancy Pelosi and found that 75% of respondents expressed an interest in belonging to an alumni association for Pages. As a result of the 2011 closure of the House Page Program, the Alumni Association broadened its purpose beyond hosting alumni events and connecting former Pages. The Association realized that alumni are an important resource to advocate for continued civic education that foster engaged and thoughtful leaders and citizens. Why is it named Capitol Page Alumni Association? The name of the Association reflects the rich history of the three Page programs and acknowledges the evolution of the Page experience over the decades. Prior to 1983, all House, Senate, and Supreme Court Pages attended the Capitol Page School located in the Library of Congress. In the late 1990s, with the closure of the O’Neill House Office Building (House Annex #1), House and Senate Pages lived and studied in different facilities on Capitol Hill. However, all Pages are alumni of a unique program and the Association’s founders felt that “Capitol Page” represented the various programs as they existed over the years. How do I know if I’m a Capitol Page Alumni? A page alumnus is anyone who was a page during high school years in the U.S. House of Representatives, U.S. Senate or U.S. Supreme Court. “Pages” are also young people who worked in Congress in various capacities, including the numerous summer pages who worked for just one or two months but didn’t attend school while in Washington. The association does not include young people who served in their state legislatures. I’ve seen other website for Pages. What is different about this one? This website serves ALL Pages who served in high school in Washington, D.C. This website represents the USCPAA, which is a nonprofit organization recognized by the IRS and governed by a Board of Directors comprised of alumni from a range of class years. The website provides its members a comprehensive online alumni directory of more than 6,000 former Pages and counting. The directory is available ONLY to association members who have a password. The website is also a central location to find and share information about national and regional events for Pages, in addition to class reunions. How do I become a member of the Association? At the top of this page, simply click on the button Join or click here. How do I determine which Page class I belong to? Unlike high school or college, it may not be so easy to know which Page class you belong to. In part, this is because the Page experience is so varied and because many of us did not graduate from high school within the Page Program. The USCPAA uses its own protocol for determining which Page class someone belongs to. The class year is determined by the last year in which someone served, even if the bulk of the page service took place in a different year. For example, a former Page served from September 2006 through January 2007. That person belongs to the class of 2007 for our purposes. If a summer Page served for one month in the Summer of 1999, for example, he/she is Page class of 1999, even though he/she graduated from high school back home in 2001. What do my membership dues pay for and what do I get? The Association is completely funded by membership dues and donations. Expenses include website maintenance, hosting alumni events, maintaining the database, and postage costs for our newsletter. Benefits of membership include access to the our online database of former Pages and invitations to events. More benefits are listed on the Join page of this website. 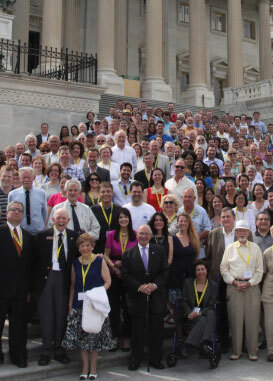 One of the perks of membership to the US Capitol Page Alumni Association is the ability to search our database to find long lost friends, Page alumni in your area, or Page alumni from your college or university. Alas, the database searching tools are not always the most user friendly, so we have created a video to help you. To watch the video, type “pagealum”. The video is both a guide to various sections of the website, as well as a “how to” for searching the database. All Alumni can visit that various pages on the website, but only Association members can login to search the database. If you are a member, please make sure that you have your user name and password handy so that you can login in parallel with the video. If you do not know your username or password, please contact us. How is the Association run? USCPAA is run by a Board of Directors made up entirely of Page alumni. Each Board member participates in one or more committees, such as events, membership/marketing, partnerships and long-term strategy. At this time, the Board meets by telephone conference call every other month and convenes in Washington DC annually for a face-to-face meeting. Is the Senate considering an end to its Page Program? Since the 2011 closure of the House Page Program, there have been many questions about the continued vitality of the Senate Page Program. The two programs operated independently and each institution has the authority to govern its own program. Immediately following the House announcement, Senate Majority Leader Harry Reid announced that the Senate had no intention of following suit. To this date, the USCPAA has not heard any word that the Senate Leadership is considering a termination of their program. Is there a possibility of reviving the House Page Program? The US Capitol Page Alumni Association remains deeply opposed to the 2011 decision to close the House Page Program and hopes that a future Congress may establish a new program for high school students. The Association continues to explore possibilities to bring high school students back into the House of Representatives in a meaningful way. Join fellow U.S. Capitol Page Alumni at alumni gatherings, share your Page experience, preserve our history, and support the Page Program.